When someone mentions cake, my ears immediately send a signal to my brain to make me want cake. I love cake. I also love coming home to post that’s come through my letterbox. So imagine if there was a way cake could come through my letterbox too. What a combination! Well, imagine no more, and instead look towards Baker Days! When Baker Days got in touch with me via Twitter to ask if would like to review cake by post, it’s no surprise that I jumped at the chance and contacted them straight away. After choosing the type of cake I wanted (I opted for vanilla!) 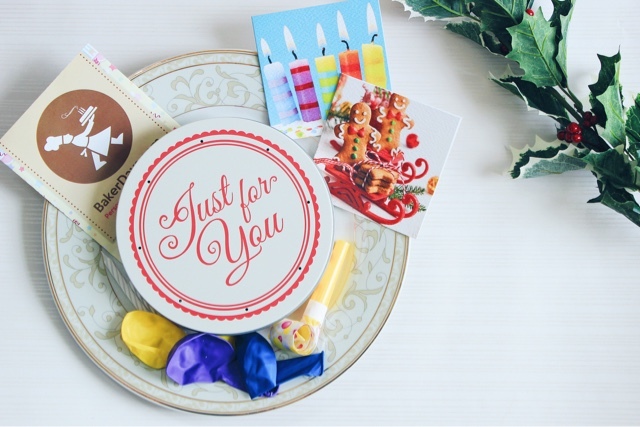 along with a design I liked, a 5″ Letterbox Cake* made its way through my door. It’s a scary thought, right? Slipping a fragile cake through a letter box for it to fall from quite a height. But, let me tell you, the cake was in perfect condition without a dent in sight! 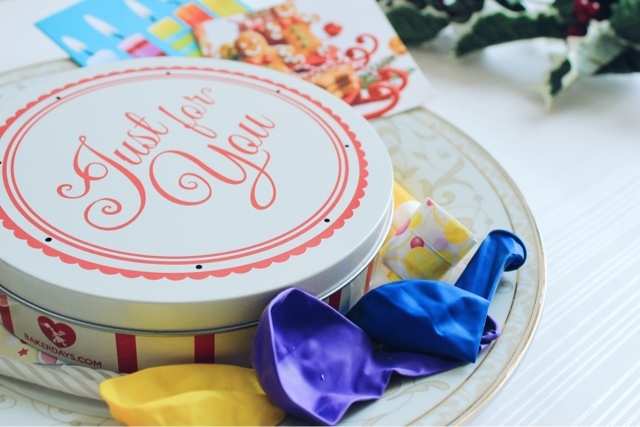 It arrived in a beautiful little cake tin and was even accompanied by some cute Christmas cards, balloons, candles and a party blower. It was an absolute pleasure to open the box! 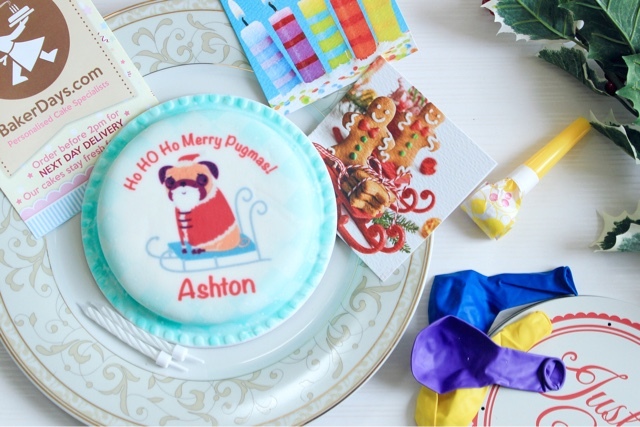 The cake itself is a small cake, perfect for slipping through a loved ones door if they don’t have a big family they need to share it with! As soon as I took the lid off of the tin, I could smell the cake and it smelt delicious. And I can absolutely confirm that it tasted delicious too. I know it’s all subject to opinion, but I’m not a massive fan of icing that’s really thick, and this cake had the perfect amount for me. The sponge was wonderfully soft and tasted fabulous. The cakes are said to keep this fresh for up to 14 days, though unfortunately I can’t attest to that, as a cake this yummy simply does not stay around for that long in my house! 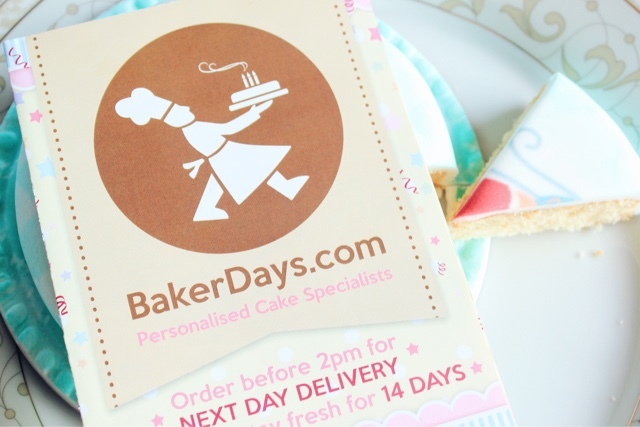 Baker Days is based in Sherwood Forest and can safely deliver their fabulous cakes everywhere in the UK, and if you order before 2pm, your cake will be delivered the very next day! 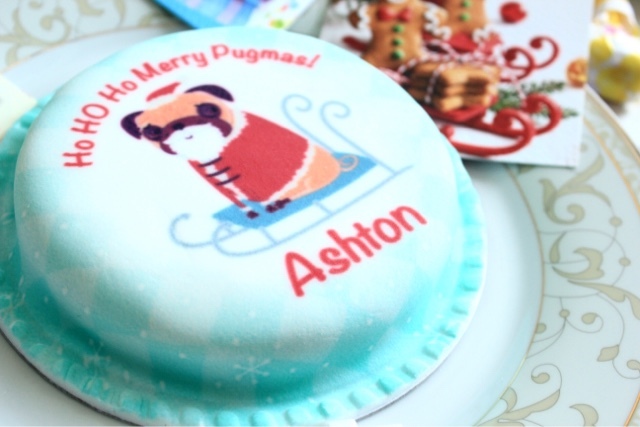 You can completely personalise the cakes to give them that special extra touch resulting in a perfect gift for any occasion. They work so hard to make each and every cake perfect and even offer to design a cake especially for you if you can’t find one you like! You must be following both me and Baker Days on Twitter. You must retweet the competition tweet. Entries after 8pm on 16/12/2015 will not count. A winner will be picked at random and must get back to me within 24 hours!